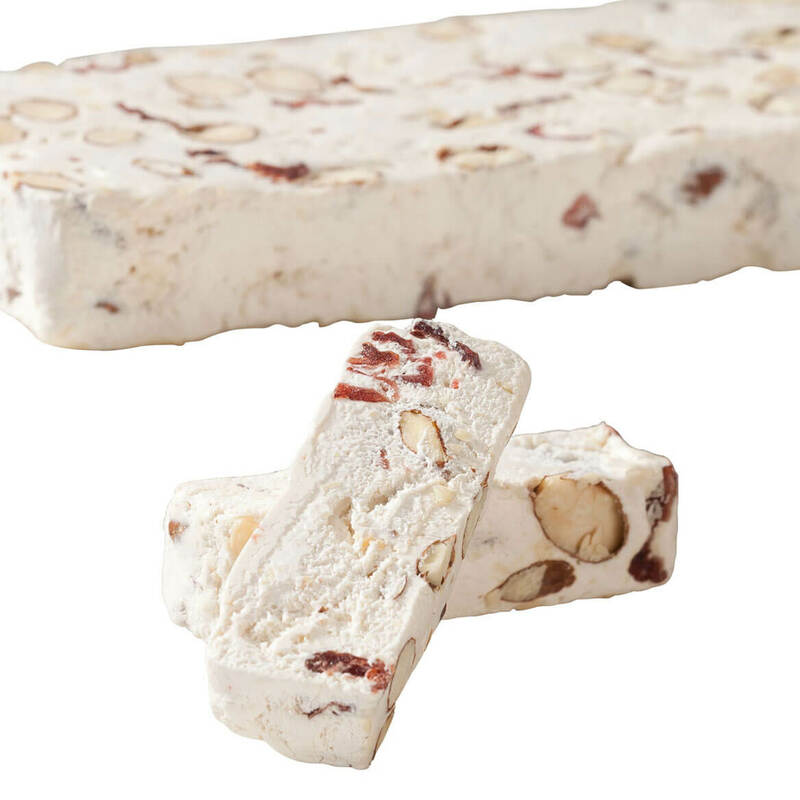 Legend has it, nougat originated in Italy in 1441 when it was made for the wedding feast of local nobility. The sweet confection was shaped like the Torrazzo tower, and so dubbed “Torrone” in Italian. Simply AMAZING, our nougat bars are produced by a third generation family originally from Italy’s Piemonte region. Using a secret recipe, the pastry artisans use only the freshest ingredients to hand make each batch. Fresh, toasted almonds combine with honey, sugar, corn syrup and egg whites in traditional copper bowls, cooked for as long as nine hours. Sourced from the company’s local farms, fresh blueberries are dried and added to the soft honey almond nougat—their delicate flavor creating the perfect balance. 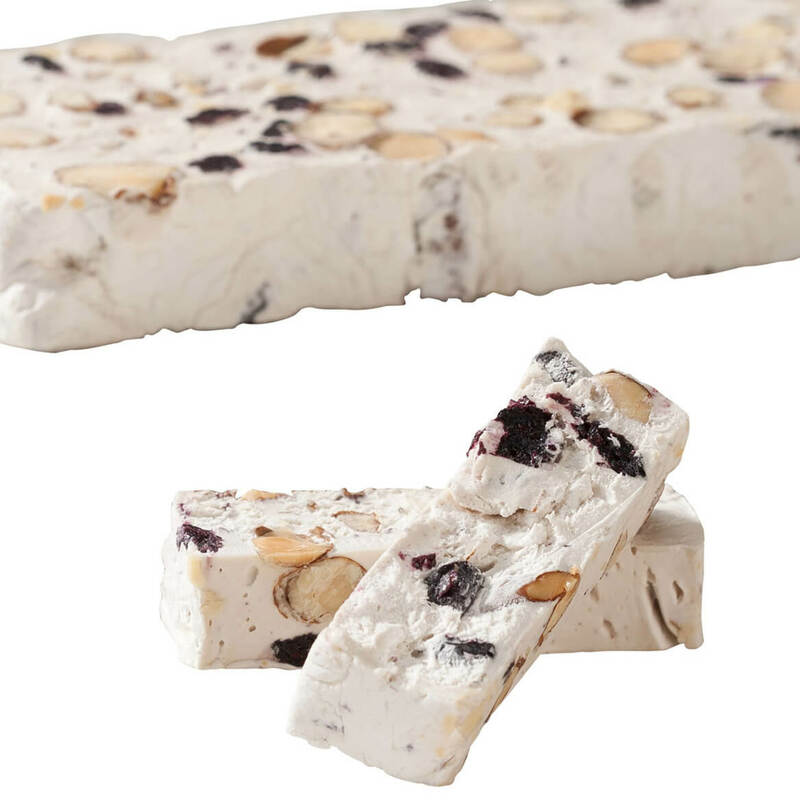 Soft blueberry nougat bar is all-natural, gluten-free … and a glorious fix for any nougat fanatic! 7 oz. Legend has it, nougat originated in Italy in 1441 when it was made for the wedding feast of local nobility. The sweet confection was shaped like the Torrazzo tower, and so dubbed “Torrone” in Italian. Simply AMAZING, our nougat bars are produced by a third generation family originally from Italy’s Piemonte region. Using a secret recipe, the pastry artisans use only the freshest ingredients to hand make each batch. Fresh, toasted almonds combine with honey, sugar, corn syrup and egg whites in traditional copper bowls, cooked for as long as nine hours. Dried cranberries are added, lending a touch of tartness that pairs deliciously with the honey’s sweetness. As you bite into this incredible treat, you’ll see plump pieces of crimson fruit studded through each piece of nougat. Soft cranberry nougat bar is all-natural, gluten-free … and a glorious fix for any nougat fanatic! 7 oz. Tempting mint lovers since the 1950s, the chewy, sugared spearmint jelly leaves old fashion candy owes its ultra-fresh flavor to pure spearmint oil. 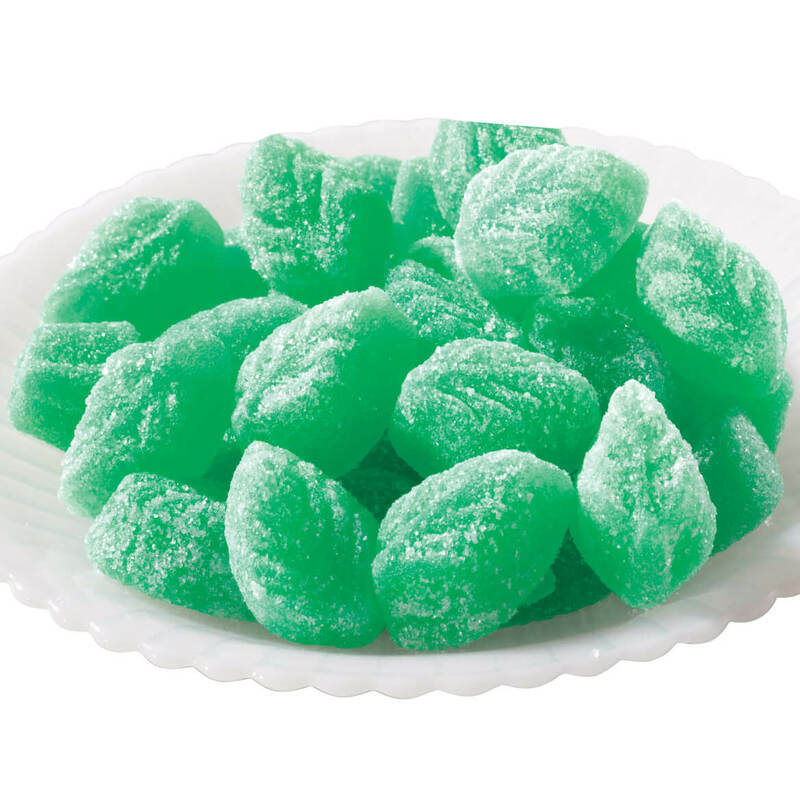 The cool, jelly-like centers reward you with a burst of sweet, minty goodness, lingering on your taste buds for a good, long time. 1.5 lb. of jelly candy. Enjoy a burst of sweet minty goodness; Pure spearmint oil; Jelly-like centers; 1.5 lbs. With strawberry flavor swirled around creamy white fondant, chewy Goetze’s® StrawberriCreams caramel offers sweet, berry-loving bliss! Boasting legendary goodness from the Goetze candy confectioners, each individually wrapped strawberry caramel treat is pure delight. 11.5 oz. of old fashioned caramel candy. 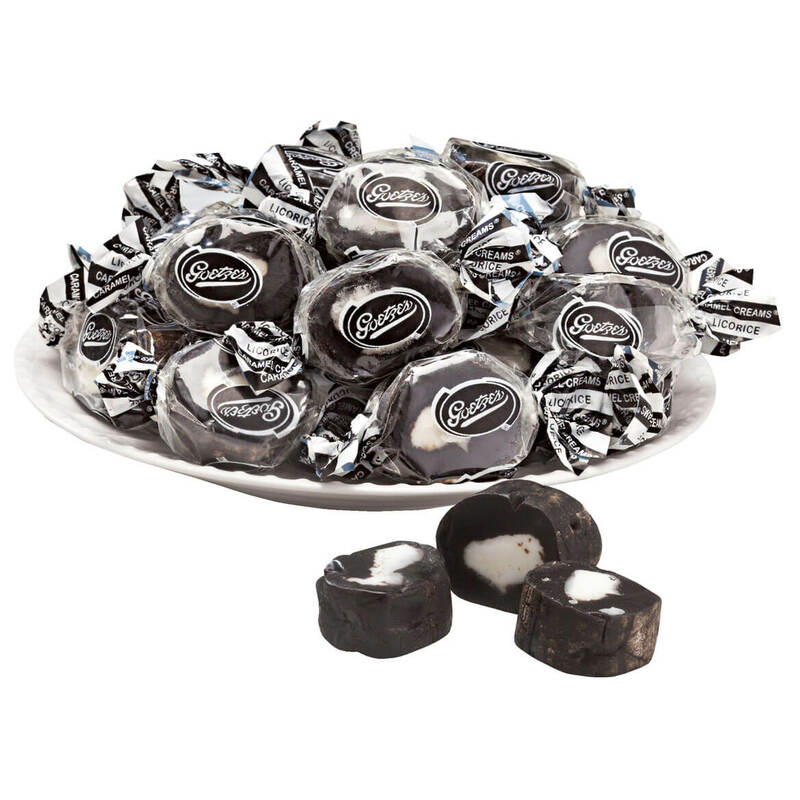 Dubbed “Bulls-Eyes” when first introduced, these come-back Licorice Caramel Creams® are now called “BEST EVER”, “PURE HEAVEN” and “MINE” by black licorice lovers! 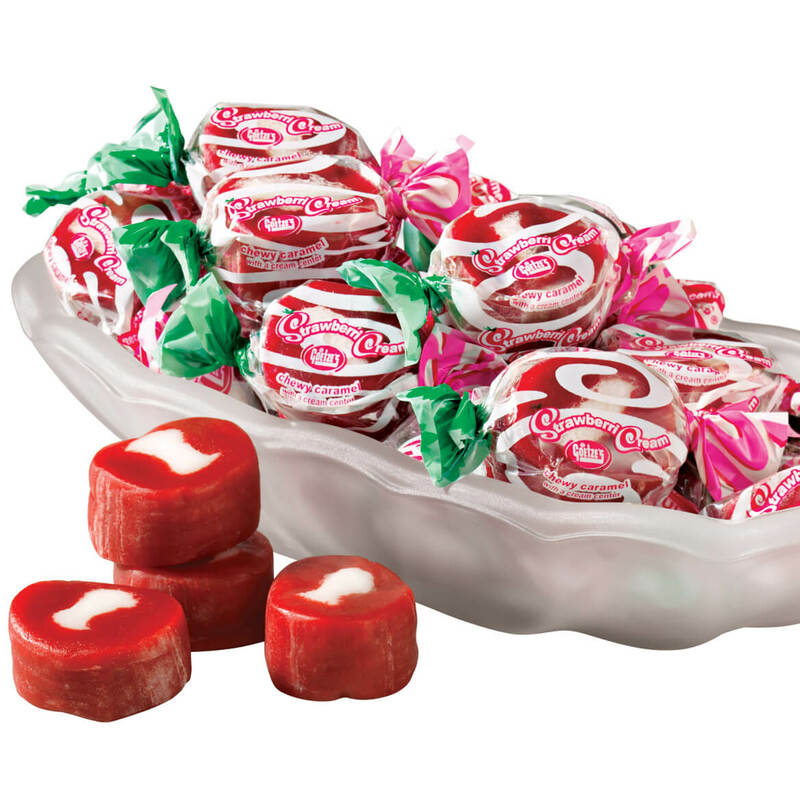 Boasting full-bodied, licorice-flavored caramel wrapped around a creamy sweet fondant center, the iconic bulls eye candy is still made by Goetze’s candy company … and bull’s-eye satisfaction for licorice fans. 12 oz. Not all candy has to be loaded with sugar to be great tasting. 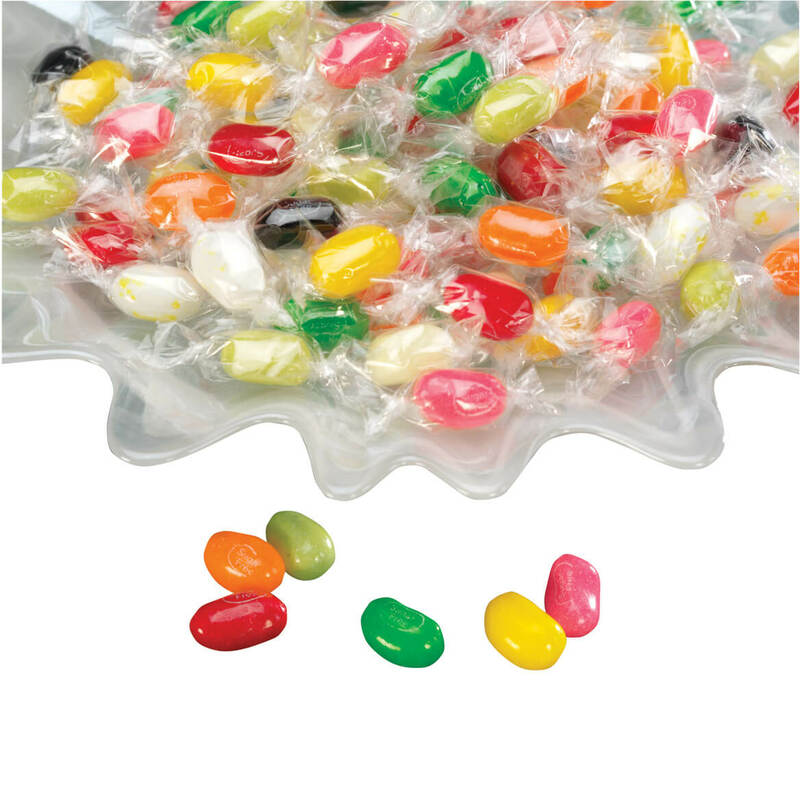 Sugar Free Jelly Belly® is a yummy, low-carb and sugar free candy. It’s everyone’s favorite gourmet jelly bean in an 8.5 oz. bag of taste bud-satisfying assorted flavors. Sugar free jelly beans are sweetened with Maltitol, Polydextrose and Sucralose. These classic licorice pastels boast the flavor of memories … pleasing licorice lovers for generations. 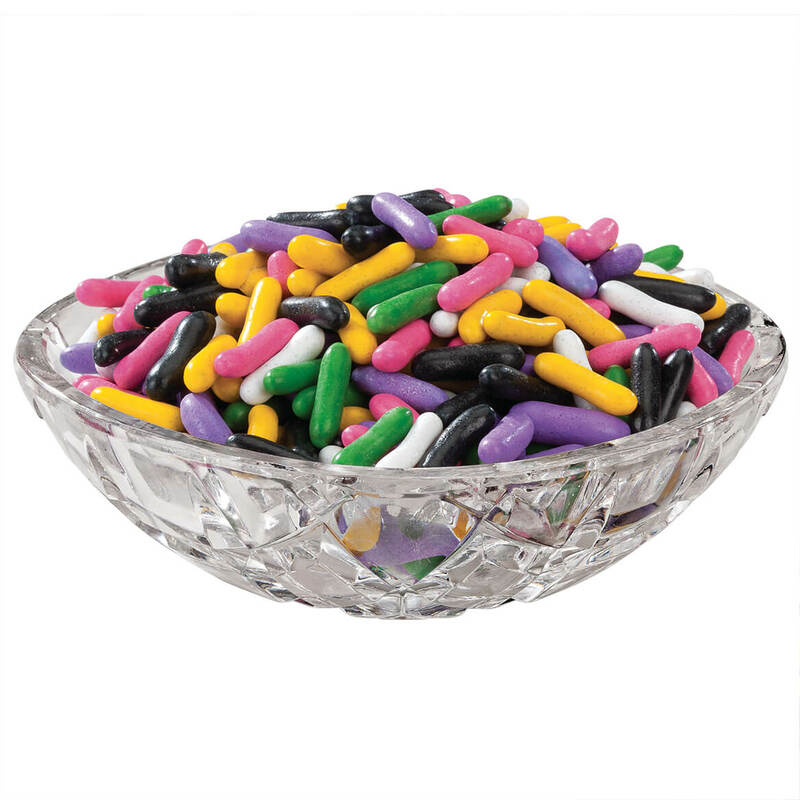 Featuring soft, chewy black licorice centers covered in crisp candy shells, the black licorice candy offers sweet satisfaction for kids of all ages—dressing up your candy dish in bright assorted colors. 13 oz. 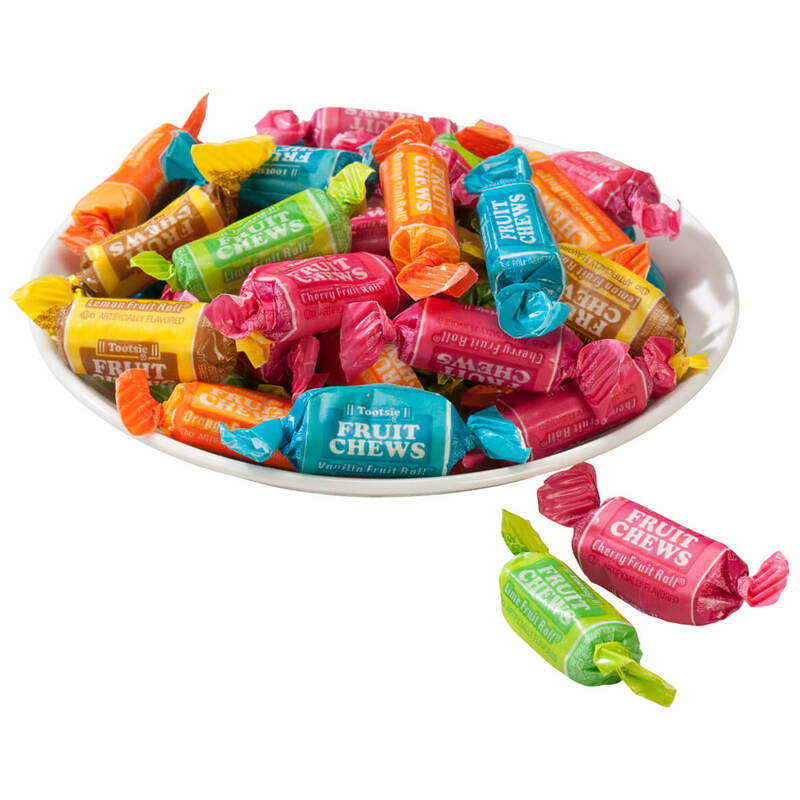 These Tootsie Fruit chews have the fun, chewy texture of your favorite Tootsie Roll, but the soft, colorful gems are bursting with yummy fruit flavor! Offering a smooth, lasting taffy chew that’s never sticky, the 5-flavor assortment includes cherry, lemon, vanilla, lime and orange. Each Tootsie Fruit roll is individually wrapped for fresh, flavor you’ll love, at home or on the go. 12 oz. 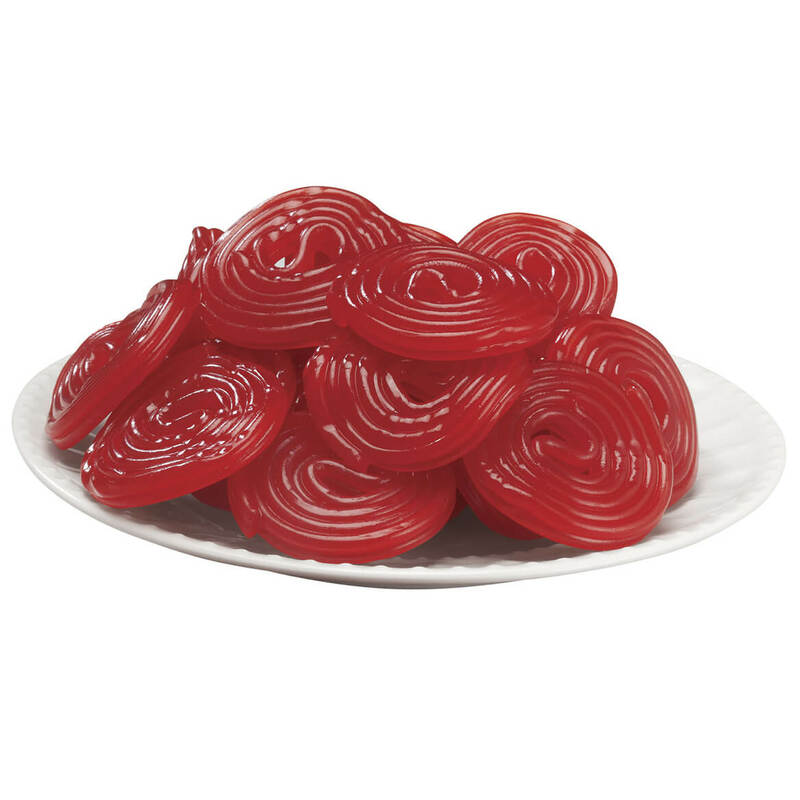 Whether you unravel for a long-lasting whip or bite right into the tightly wound disc, these red and black licorice wheels deliver soft, chewy fun … rolled up with sweet memories. Delighting tastebuds for decades, these iconic treats boast true licorice texture and classic flavor that’s irresistible! 5.29 oz. 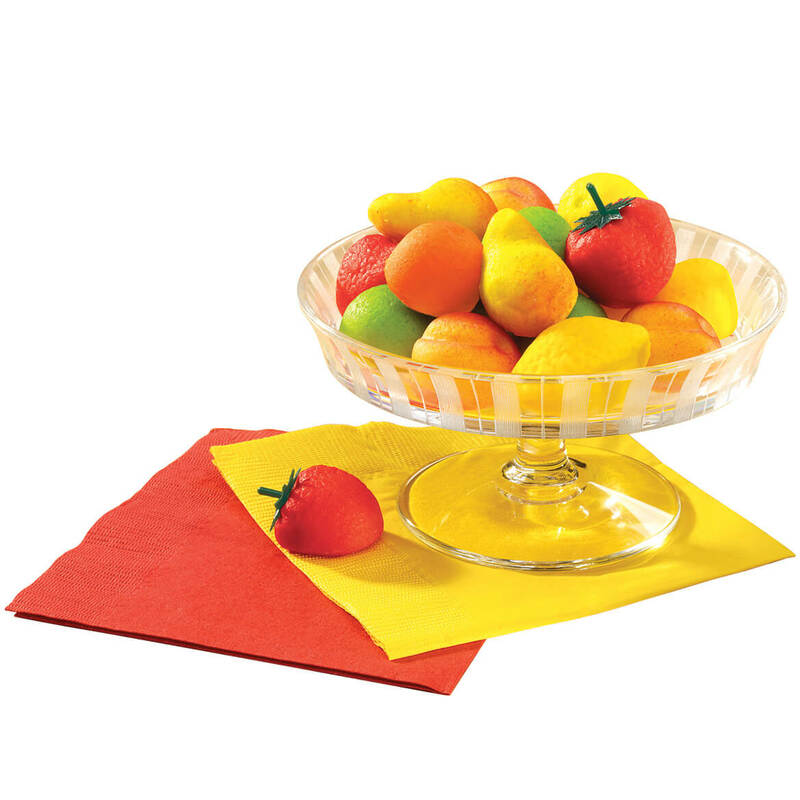 The resemblance of this marzipan candy to real fruit is remarkable – there’s a blush on the peach, the strawberries look luscious, the lime, mango and oranges look startlingly real too. Of course it’s all just delicious marzipan fruit candy. You get 18 pieces, 8.5 oz. net weight. Includes strawberries peaches limes mangos and oranges; 18 pieces; 8.5oz.